UPDATE: With the help form Yrgal, Marcintesh BootSkin can now fit nicely with the rest of the Suite. 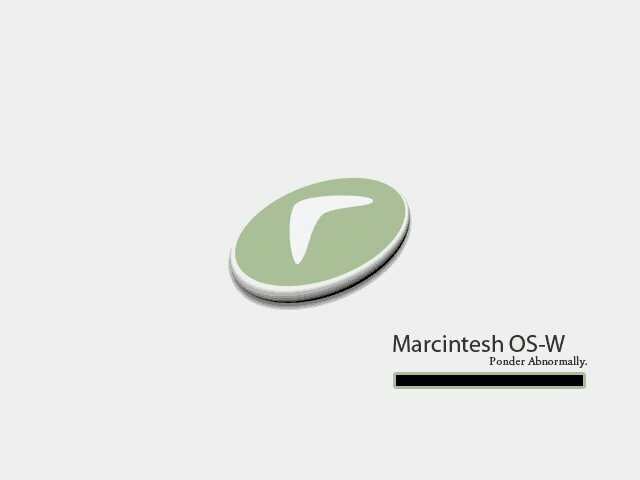 I would like to thank farkusmarkus for allowing me to upload a BootSkin for Marcintesh OS. I hope it meets the same perfection as the rest of the Suite. This doesn't work for me. I get a mostly black screen with a bit of the logo and text showing up... and part of the progress bar visible. Is it just me? I will be updating...I tried using PSP8 and it seems to be more buggy then using SkinStudio. I am unable to test because my computer will not run any version of BootSkin. Out of 595 downloads though, you'd think more people would say that the program does not work. ohh well, I'll update here shortly...Thanks for letting me know.